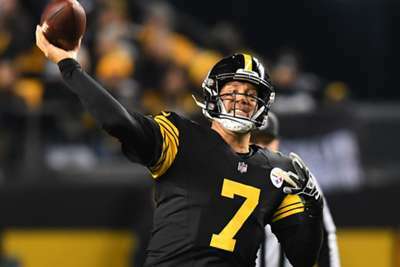 Ben Roethlisberger starred to lead the Pittsburgh Steelers to a 52-21 thrashing of the Carolina Panthers in the NFL on Thursday. Both the Steelers and Panthers had to quickly recover from wins on Sunday to face each other at Heinz Field. But, only one backed up their week-nine victory with another big performance. The Steelers scored three touchdowns in less than five minutes to build an early lead in the first quarter and rode that to a big win over the Panthers. Pittsburgh have now tallied five straight victories. The Steelers scored on all but two drives, and one ended in Roethlisberger taking a knee to end the half. He was perfect, running back James Conner continued to impress and the once-hot Panthers froze in Pittsburgh. Carolina had every intention of going toe-to-toe with the team in control of the AFC North. The Panthers were riding a three-game winning streak, including a 42-28 victory against the Tampa Bay Buccaneers. They posted 78 points in their last two games, and at least 30 or more points in four of their last six. Carolina have weapons like quarterback Cam Newton and running back Christian McCaffrey, plus a defense studded with the likes of Eric Reid. But, against the streaking Steelers, they could not get it done. Carolina started the game with their first opening-drive touchdown in 10 games, but then turnovers, consecutive punts and another turnover halted any momentum they had. Newton, who had completed nearly 70 per cent of his passes during the team's win streak, finished 23-of-29 passing for 193 yards and two touchdowns. He threw one interception and was sacked five times. It was his lowest output since week three (150 yards) and the most times he has been brought down all season. It seemed like Roethlisberger had all the time in the world, and that is because he did. The Steelers' gave their play-caller so much protection, he was able to dominate. Roethlisberger finished with a perfect passer rating (158.3) after completing 22 of his 25 passes for 328 yards, five touchdowns and no interceptions. He connected with nine different receivers, including team leaders Antonio Brown (96 yards) and JuJu Smith-Schuster (90). There have been reports that Le'Veon Bell is in Pittsburgh and could return to the team by Tuesday's deadline. But, even if Bell ends his prolonged holdout, the Steelers have another player in the backfield that has carried the weight of the team's run game. The running back matchup between McCaffrey and Conner featured some of the best talent in the NFL this season. While McCaffrey made up a bulk of Carolina's yards and all three scores on Thursday, it was Conner who continued to steal the show, which leaves many to wonder: If Bell does return, will he replace his replacement? Conner finished the game with 13 carries for 65 yards and a touchdown. The score was his 10th of the year, more than Bell has ever recorded in a single season (nine). The touchdown resulted in Conner and Brown becoming the first pair of team-mates with 10 or more touchdowns each in their team's first nine games since Abner Haynes and Chris Burford did it for the 1962 Chiefs. He did leave the game in the fourth quarter to be evaluated for a possible concussion. He was listed as questionable, and with the team's 38-point lead at the time of his exit, it was unlikely he would return to the field anyway.